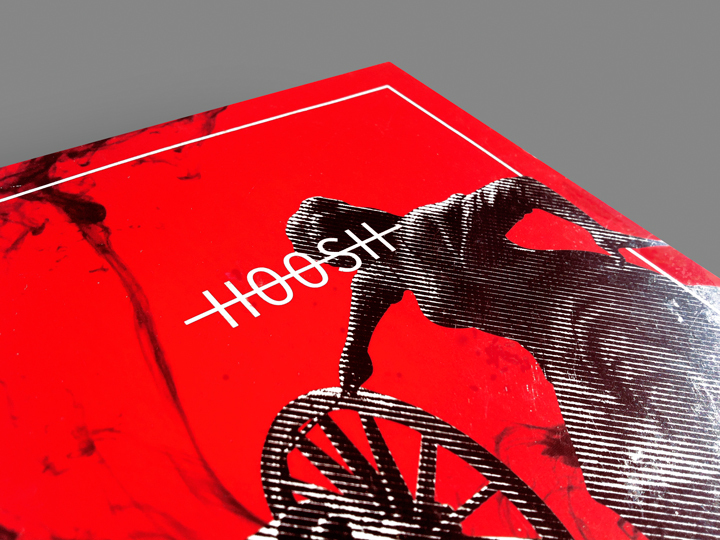 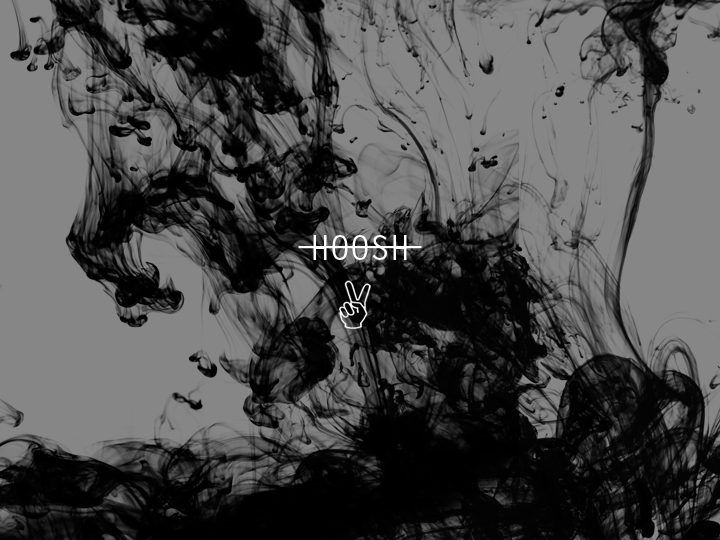 Hoosh is an electronic rock duo. 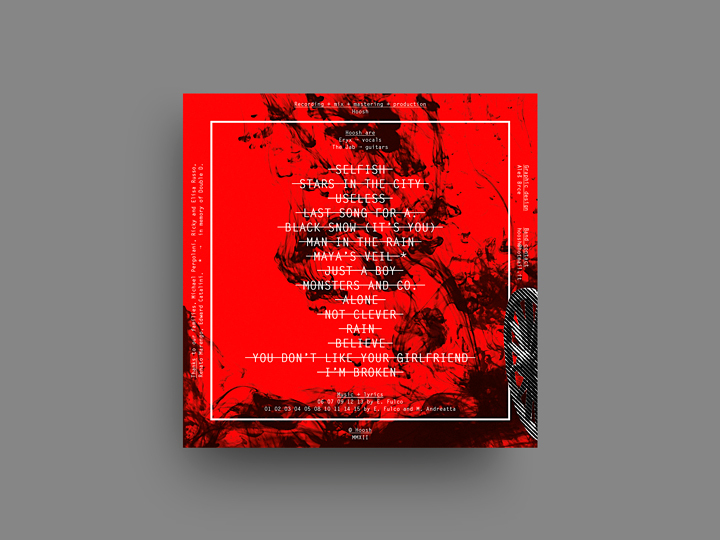 They asked me to design the layout for their second, untitled album: an opera that marks a dark and rough musical approach on social themes. 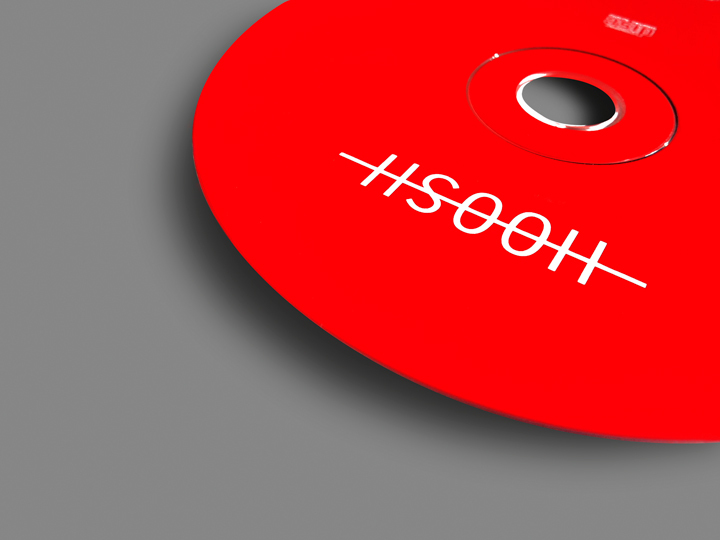 The mood is that of punk music but made with electro tools. 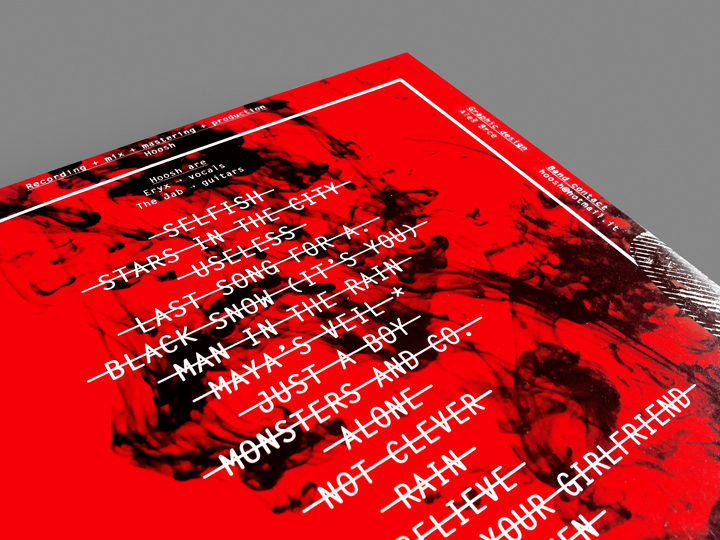 Graphically I decided to represent the thoughts of the band with the use of a pretty bold and massive design. 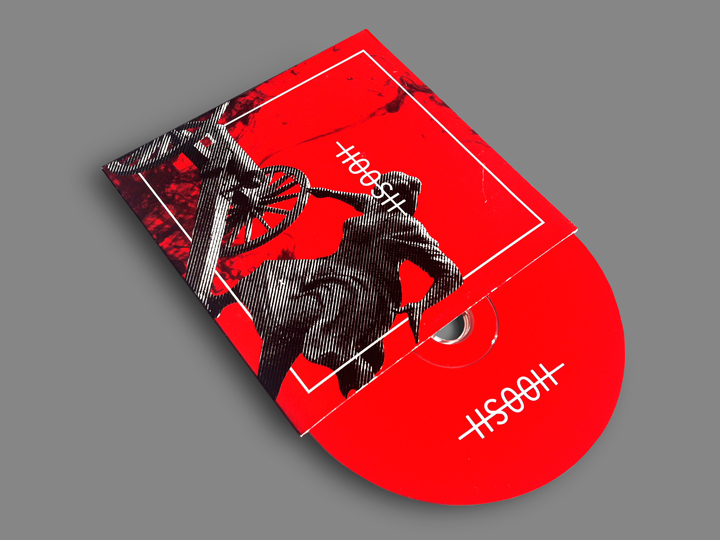 I’ve strikethrough the band name on the cover and the track titles on the back to link the typography with the idea of the inconsistency of proclamations. 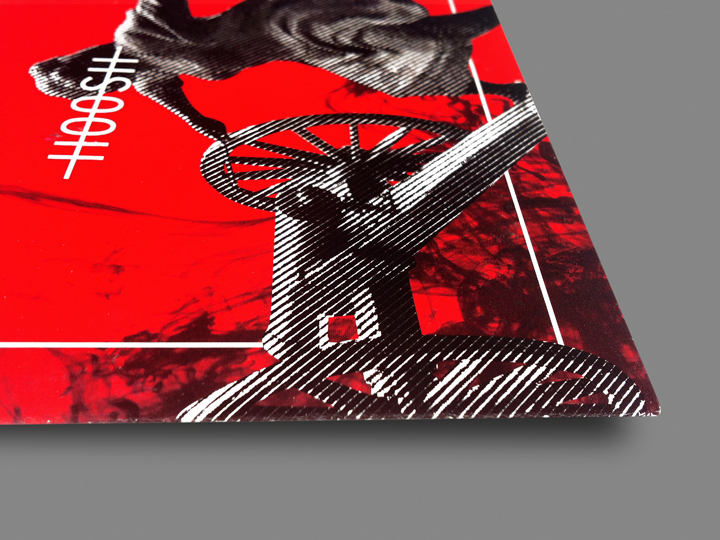 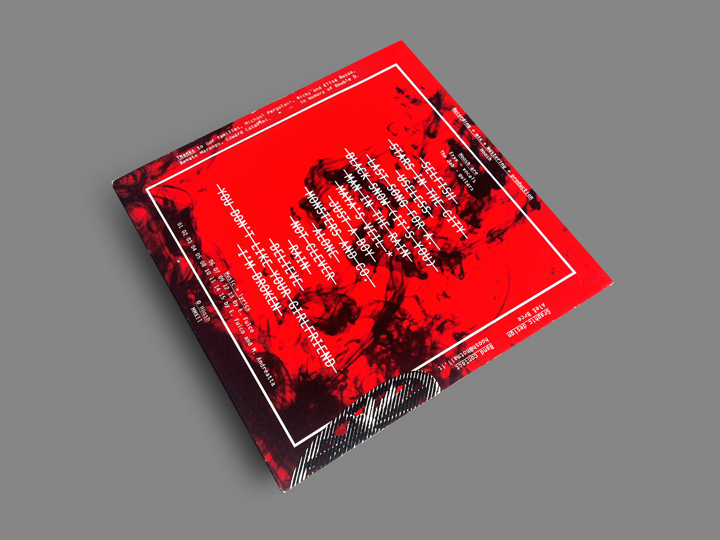 The use of only two colors — blood red and black — for the print on a cheap 350 gsm recycled paper cardboard sleeve is a will to transmit a punchy visual impact. 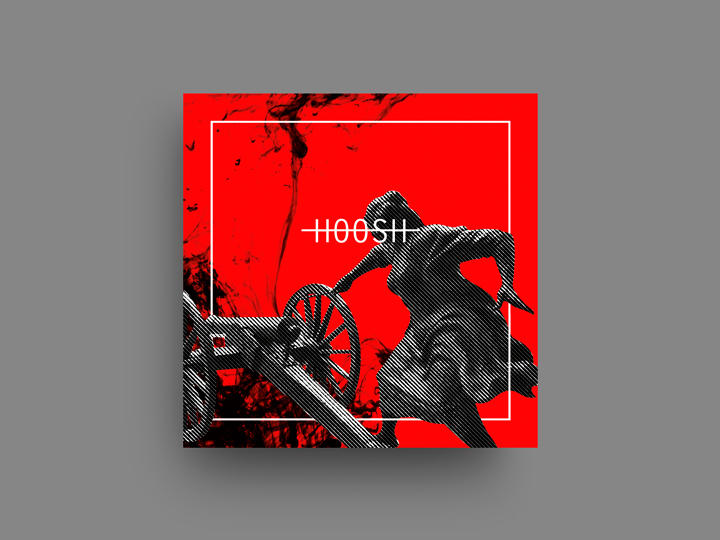 I put on the cover a powerful figure of an angry woman while dealing a cannon, to showcase the furious musical spreading of the album. 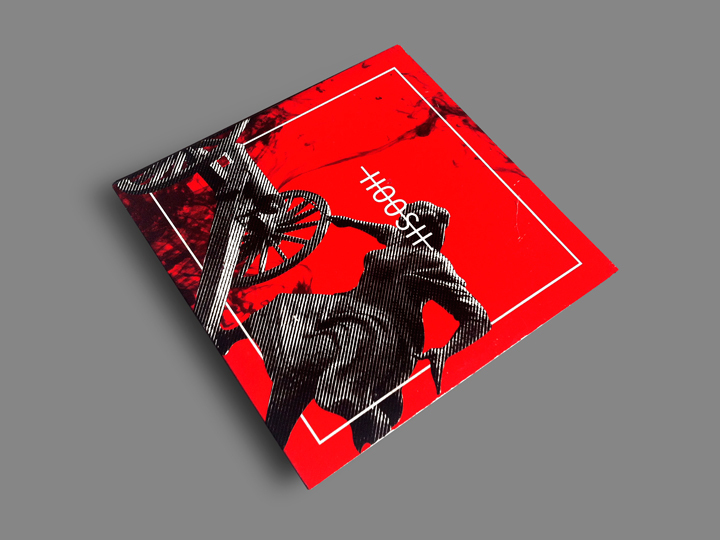 The subject is a capture of the Angelina Eberly statue located in Austin (TX), deliberately treated in a dirty bitmap image processing that reconnects to the old bad printed/photocopied fanzines and flyers. 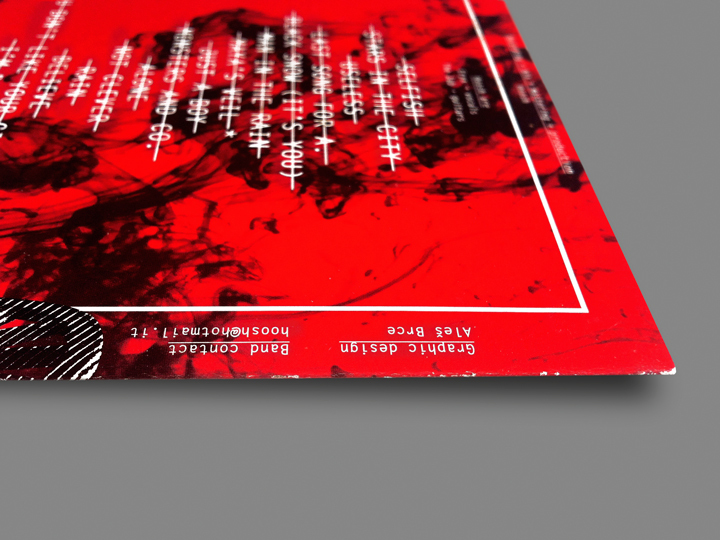 The whole layout is absorbed in a hazy feeling: the use of the ink-in-water image technique treatment, multiplied in the background and melted with the red color, adds confusion and anxiety to the design, making the atmosphere smoky and obscure.